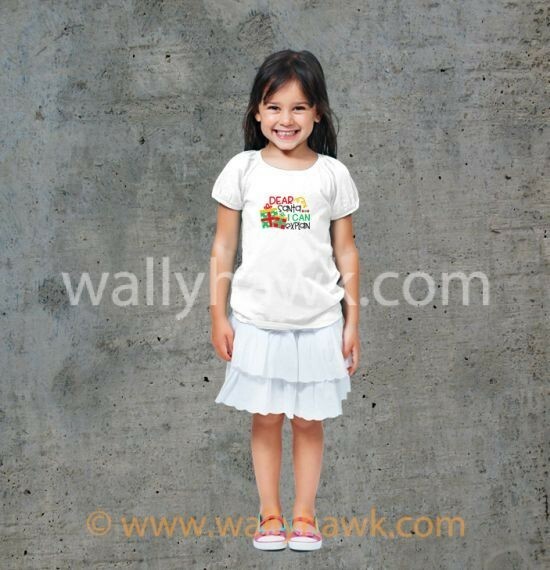 High quality vinyl decorated with state of the art inks. Machine cut with a sharp razor set to an insanely accurate pressure. Applied with high heat and measured pressure. 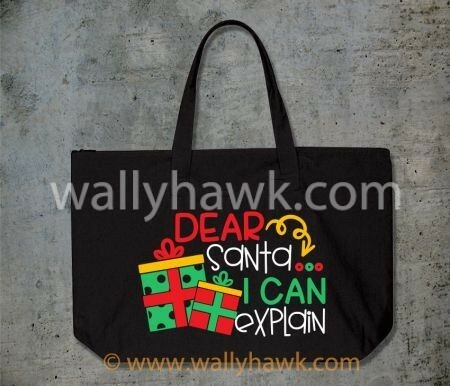 This Dear Santa Tote measures 22” x 15” x 5” at the bottom. 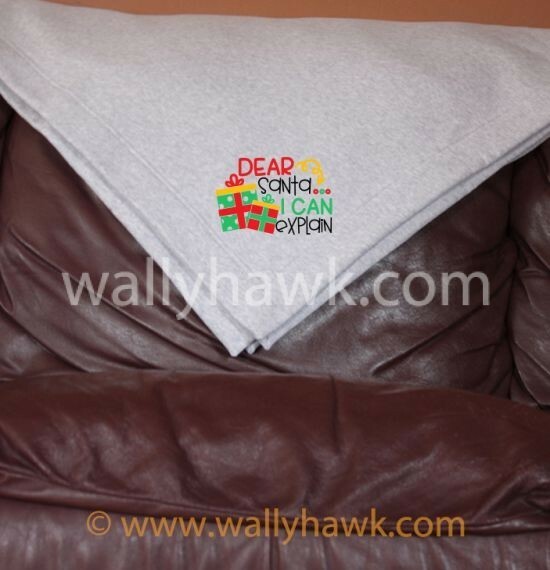 It’s comprised of sturdy, easy to clean 10oz 100% cotton canvas. It’s that wonderful time of the year! The holiday season is upon us. 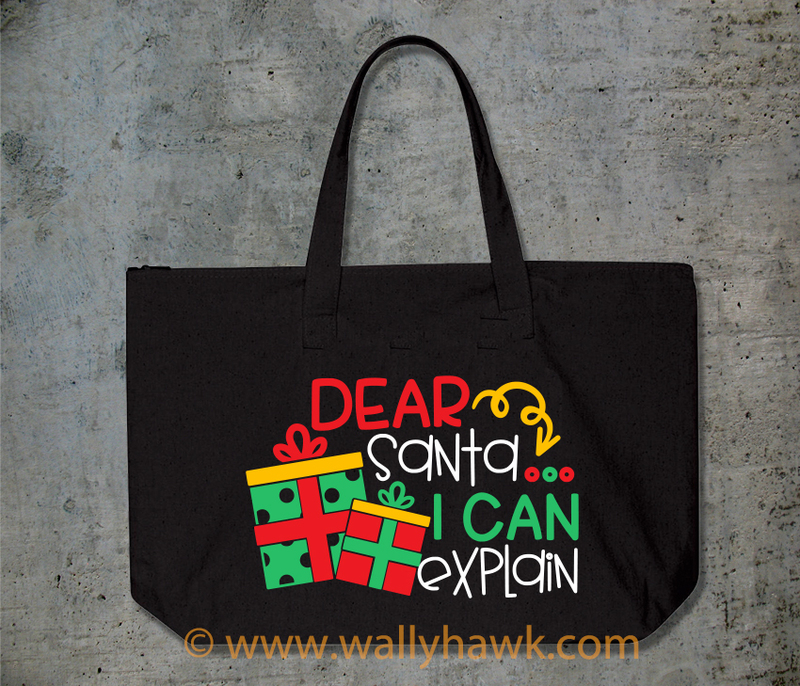 This Christmas tote is a fun little quip about the worldwide infamous Christmas Lore around Santa Claus. 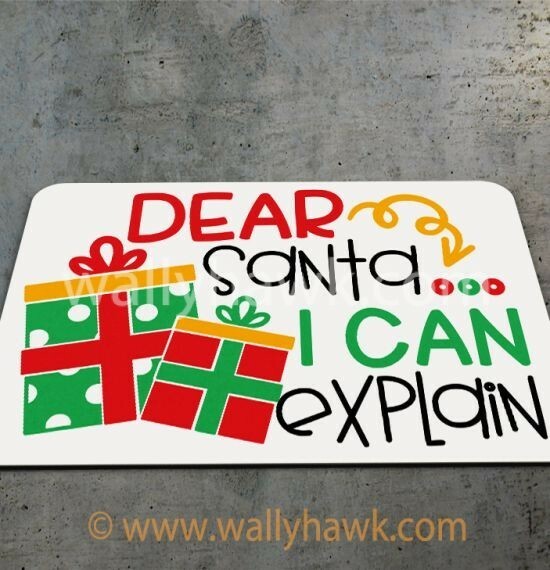 Keep your home office festive or bring some cheer into the work place. The Dear Santa Tote reads “It’s all fun & games ’til Santa checks the Naughty List.” This fun design is the perfect accessory to pair with your other holiday decor.